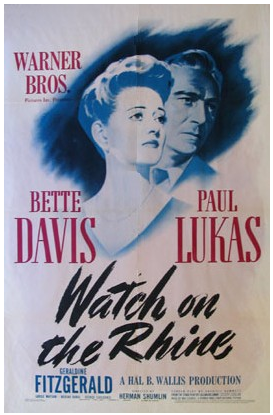 In 1941, Lillian Hellman’s play Watch on the Rhine opened on Broadway to a highly enthusiastic US audience very much attuned to events on the European continent. Two years later, with the world still in the throes of WWII, Bette Davis headlined the even more successful screen adaptation. The powerful Rhine River runs alongside the Swiss city of Basel, where the headquarters of the even more powerful Bank for International Settlements is situated. Like Hellman’s work, this occasional column seeks to treat a subject that starts in a European city but plays out across continents. Our topic, too, comes with its fair share of emotion, suspense and intrigue; intelligent, timely and resolute actions are likewise demanded. In the case of Basel regulation, as was the case for Hellman’s work, the story’s final ending remains unknown. ← Who cares about profits?